We have discussed aggressive behavior (1 and 2). Now, we will examine fearful behavior beginning (as always) with a definition. Let us look at existing definitions. “Fear is an unpleasant often strong emotion caused by anticipation or awareness of danger (Merriam-Webster).” As a dictionary definition (and that’s what it is) it works, but we need to be more precise. “Fear is the unpleasant emotional state consisting of psychological and psychophysiological responses to a real external threat or danger.” (Miller-Keane Encyclopedia and Dictionary of Medicine, Nursing, and Allied Health, Seventh Edition). This definition is more precise than the former. However, to evaluate it correctly, we need first a definition of threat, particularly the explanation of what real external threats are versus what the text leaves us presuming are not real threats. The term unpleasant is vague. How can we observe psychological responses? We cannot. What we can observe are the behavioral changes, but that is not what the definition says. We can measure some psychophysiological responses, but I wouldn’t rely entirely and solely on them to analyze the consequence of a fearful experience. When facing a threat, and flight is not possible, the next best option is to hide and freeze (photo from Molly’ s Just You Only Better). “Fear is a normal emotional response to consciously recognized external sources of danger such as those often associated with loud noises, threatening gestures, strange people and thunderstorms; it is manifested in animals by flight, by attack or by cringing.” (Saunders Comprehensive Veterinary Dictionary, 3 ed.). This definition contains the explanation of real threats (consciously recognized external sources of danger) that we missed above. It also gives us examples. Whether fear is manifested by flight, by attack or by cringing is controversial for an ethologist because these all have different functions. They appear together is this definition, probably because veterinarian science tends to classify behavior by symptoms (as is the practice in its field) and not function as evolutionary biologists (and ethologists) do. A fearful stimulus may trigger an attack (function=eliminate a threat), but an attack is aggressive behavior, even when defensive (function=eliminate competition), and cringing (a term not commonly used in the behavioral sciences) may signify submissive behavior, which is not the same as fearful behavior (function=eliminate a social threat). “Fear is an emotion induced by a threat perceived by living entities, which causes a change in brain and organ function and ultimately a change in behavior, such as running away, hiding or freezing from traumatic events.” (Wikipedia). That is a good definition. It relates emotion with behavior, which is always sweet music to the ears of the ethologist who prefers to deal with observable and measurable phenomena rather than the occult emotions. Running away, hiding or freezing are compatible as to function, so we have no problem with that. Traumatic events, on the other hand, requires an explanation. Emotions are experienced and expressed at three different levels: (1) the psychological level, (2) the neurophysiological level, and (3) the behavioral level. All three aspects are present in all emotions. While psychologists focus on the first level and psychiatrists on the second, ethologists focus on the third. My definition is identical to Steimer’s, only focusing on the behavior and compiling all triggering factors under one label, threats. Moreover, I prefer to pinpoint the distinction to the related submissive behavior (instead of anxiety). Mine is a more extreme ethological definition and has the advantage of adding an explanation of submissive behavior. Steiner’s has the advantage of relating to anxiety and is more likely to be adopted by human psychologists and psychiatrists. Both Steimer’s and my definition require a definition of threat. Steimer does not explicitly give us one. I do, and one, which is compatible with both our definitions. When facing a social-threat, submissive behavior is the best option. 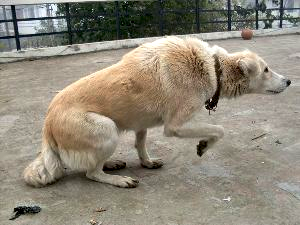 This dog shows what ethologists call active-submissive behavior (photo from safekidssafedogs). I’m compelled (Steimer is not) to distinguish between threat and social-threat because, in my definition, I pinpointed the difference between fearful and submissive behavior. I have used a term that also needs a definition, namely, mate. McFarland explains fear as a motivational state triggered by particular stimuli that give rise to defensive behavior or escape. Fear is one of the primary motivators because of it’s life-saving function. Newborn and infants show innate fear responses to particular stimuli that may harm them. Environmental disturbances require habituation. Their fear of novelty loses its strength gradually and only comes back much later when trying new ways amounts to the spending of more energy (heavily penalized in nature) than doing it as they always have done. Fear sometimes occurs in conjunction with other motivators. Approach-escape conflicts are typical examples and often result in displacement behavior as, for example, self-grooming. We may argue that displacement behavior indicates the kind of fear that psychologists call anxiety. However, ethology does not need to introduce a new term because its definition of fear includes the biological aspects of anxiety. 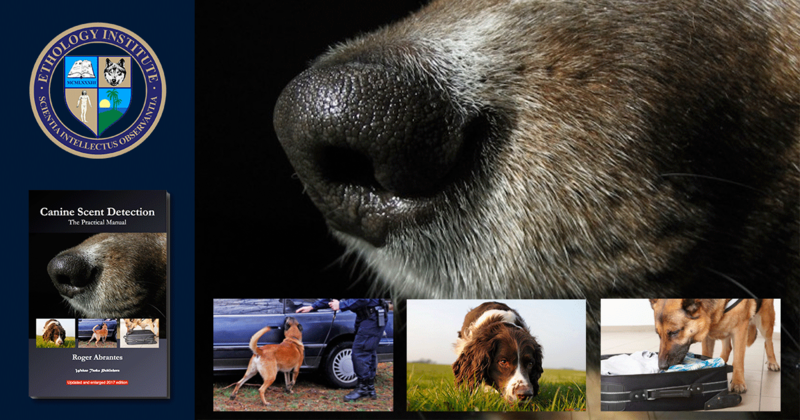 When describing animal behavior, it is more useful to refer to fear and fearful behavior than anxiety. We must also bear in mind that fearful is an adjective of behavior. To label a particular animal as fearful might be to go over the top. 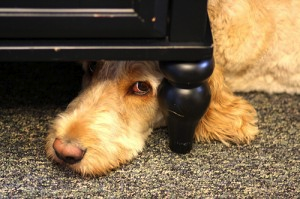 An animal may show fearful behavior, and rightly so, in certain situations and not in others. Fear and fearful behavior evolved with the vital function of protecting the individual and are, therefore, mechanisms, which we may presume to have a strong genetic correlation. Animals of different species show fearful behavior to different stimuli and in different degrees. It is natural and normal behavior for almost all animals (if not all) to get startled by a loud noise or a sudden movement. 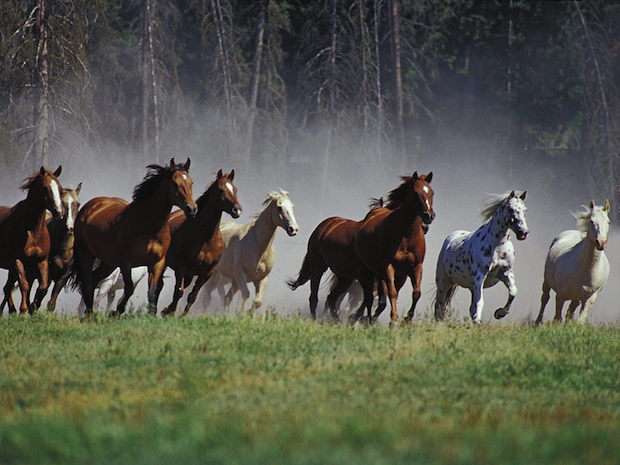 Horses and Guinea pigs get easier startled by more and different stimuli than dogs because they are prey animals, but they come over it quickly. They are not more fearful animals per se—they are just different, and comparison at this plan is meaningless. 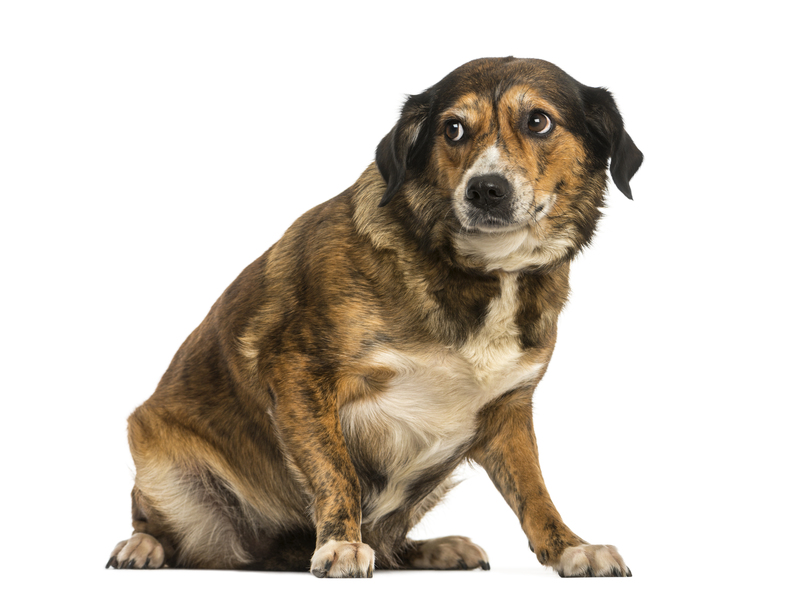 Two essential aspects of fear: (1) Fearful behavior has genetic and learned components, and (2) not seldom, our pets show fearful behavior because we have taught them that without being aware. These are the topics for next time. Watch this space (as they say). Barlow, D. H. (2000).Unraveling the mysteries of anxiety and its disorders from the perspective of emotion theory. Am Psychol. 55:1247–1263. LeDoux, J. (1998). The Emotional Brain. New York, NY: Simon & Schuster. Strongman, K. T. (1996). The Psychology of Emotion. Theories of Emotion in Perspective. Chichester, UK: John Wiley & sons. 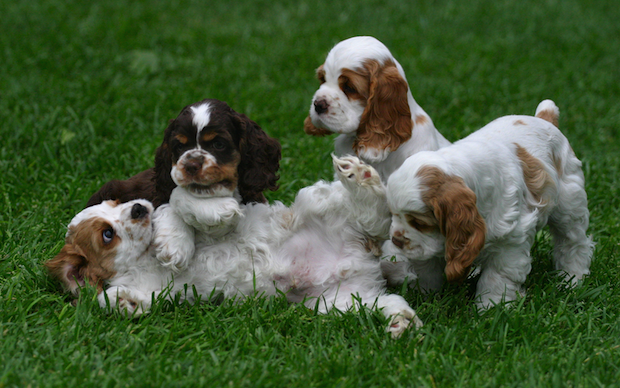 Featured picture: Fearful and submissive behavior overlap. Fearful behavior is always submissive but it makes sense to distinguish between the two because some submissive behavior is not particularly fearful (rather respectful, in human terms). This excellent photo by Monty Sloan shows this overlap of motivational factors. 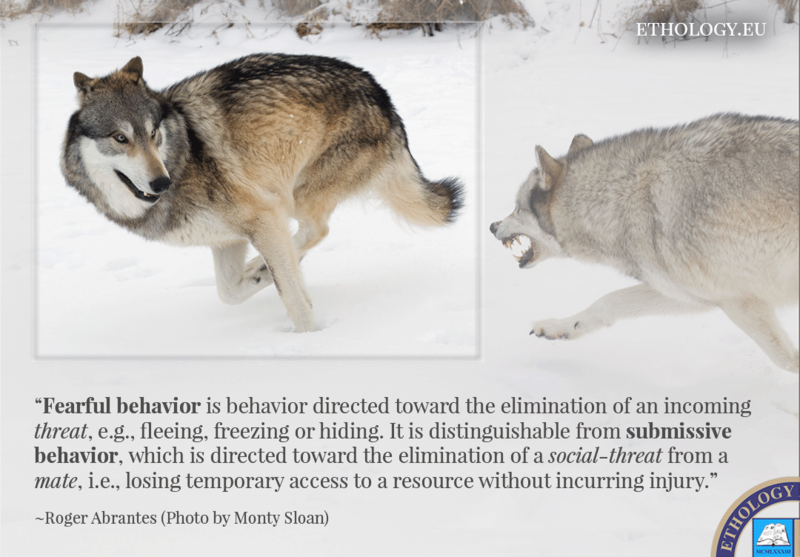 The highlighted wolf shows more submissive and less fearful behavior than expected, given the clear aggressive and dominant display of its opponent. 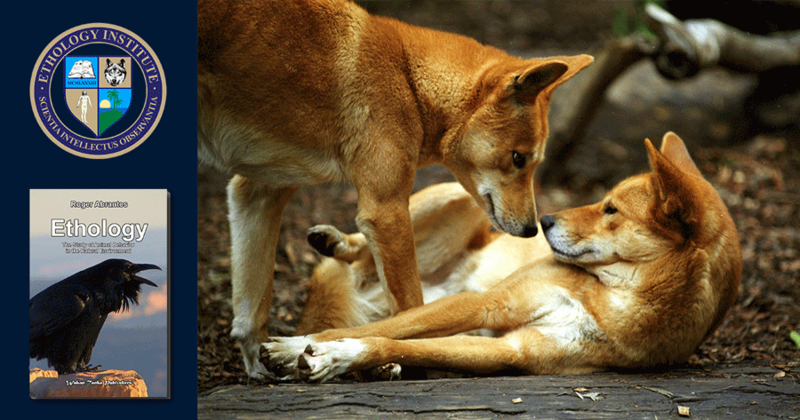 That is a sure indicator that they are mates, i.e., belong to the same pack.